The new Westport/Weston Hebrew after school program presents an event for the entire family, called make your own authentic Shofar. 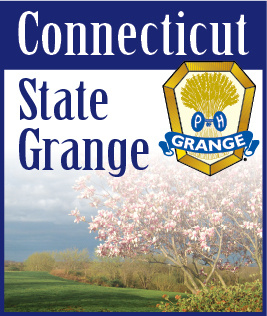 The event will be held Tuesday, September 4 from 4 to 5 p.m. at the Norfield Grange, 12 Good Hill Road in Weston and is open to all. Freida Hecht is director of the program. The cost is $10 per child. Participants will saw, sand, drill and go home with their own rams’ horn called, Shofar in Hebrew, in time for the Rosh Hashanah holiday that begins Sunday Eve, September 9. The Jewish culture after school program features the Aleph Champ Hebrew reading and writing program and a hands-on learning approach with children learning about Jewish history, traditions, holidays, Israel and more through games, drama, arts and crafts and baking. The school offers a Bar/Bat Mitzvah preparation and celebrations. New for this year is the B'nai Mitzvah Division for 6 & 7th grade students preparing for their Bar & Bat Mitzvah, which will include a Jewish Discovery Course, Social Action Opportunities and Stump the Rabbi discussions.